SculpSure is the world’s first light-based body contouring system for the reduction of stubborn fat that seems resistant to diet and exercise. SculpSure helps you to achieve a slimmer appearance in just 25 minutes without surgery or downtime. 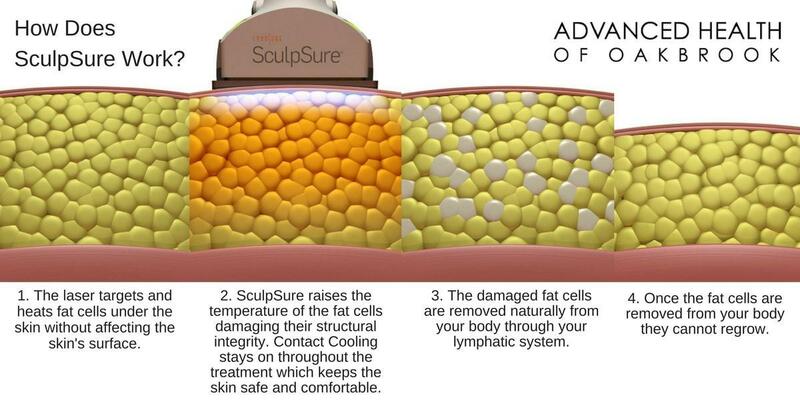 SculpSure’s innovative technology permanently destroys treated fat cells in problem areas such as the abdomen and love handles. Results can be seen in as quickly as 6 weeks, with optimal results usually seen in 12 weeks.